Trade among African countries accounts for only 13% of the continent’s overall trade, the United Nations Economic Commission for Africa said on Wednesday. The commission made the statement during a business Forum in Malabo, Equatorial Guinea, where economists have gathered to explore ways that can contribute to the continent’s industrialization. Increasing inequality and youth unemployment on the continent require policies to diversify investment sectors, the African Union said. 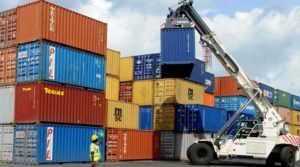 The bloc has called for the effective implementation of the free trade within the continent to facilitate business integration and save many struggling economies. Africa is largely disconnected from itself because of its poor infrastructure, restrictive immigration policies, corruption, failure to formalize informal trade, and unclear customs and immigration rules among others. Trade between African countries has the greatest potential for building sustainable economic development and integration, according to the African Development Bank’s Economic Outlook 2017. According to the Abidjan-based bank, trade among African countries expanded from 10% in 2000 to about 16% in 2014, reflecting the continent’s recent economic upturns. The continent’s economic growth is expected to rise to 3.4 per cent in 2018 from 2.6 per cent in 2017, according to the International Monetary Fund. However, rising debt and political risks in larger economies would weigh down future growth, the Fund said. Posted by Khalid Al Mouahidi on November 9, 2017. Filed under Business. You can follow any responses to this entry through the RSS 2.0. You can skip to the end and leave a response. Pinging is currently not allowed.